THIS is a great, great-looking motel. I only hope it looked half as sleek in real life. It was, rather surprisingly, designed in 1947 by the architect George Marble who was known for his large Tudor-revival homes in the pricier areas of Dallas (particularly Highland Park and Lakewood), so this is a major divergence in style. 1947 seems a little late for something this Deco-looking, but, no matter — this is just a fantastic building. 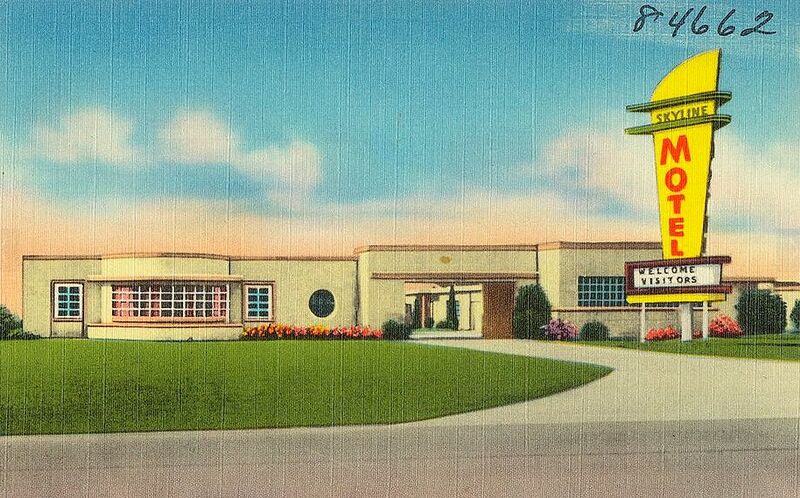 I don’t know how long the place lasted — perhaps until the mid- or late-’60s, when advertising petered out and by which time the probably no-longer-so-sleek motel seems to have started catering to customers paying by the week and by the month. It might not have gotten as seedy as I fear it might have, as I saw only a couple of fairly run-of-the-mill appearances on the police blotter (cash stolen from a sleeping customer and a likely suicide in one of the rooms). Still, I shudder to think of that once-beautiful building ending its days cheek-by-jowl with modern-day Harry Hines. 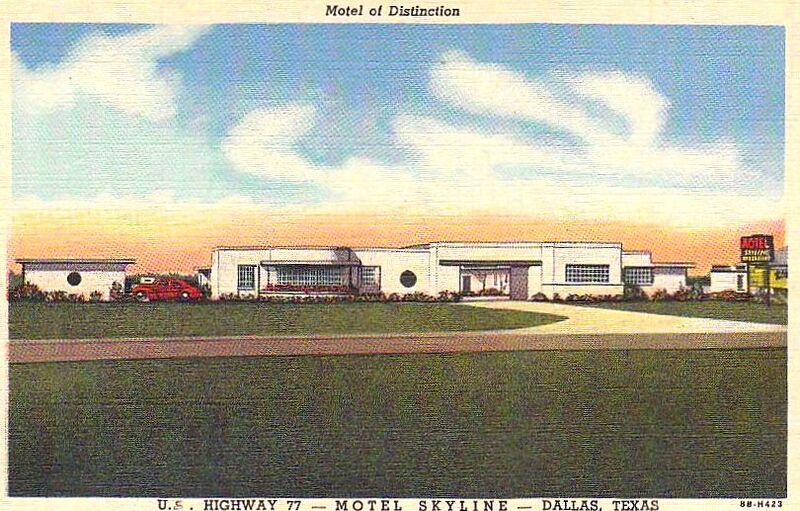 It’s nice to know Dallas once had this wonderful building, if only for a little while. If anyone has photographs of the actual building, I’d love to see them, even though I know I would probably be disappointed. Check out the kind of architectural design that George N. Marble is actually known for (residential, palatial), here. Second postcard from the absolutely fantastic Boston Public Library Tichnor Brothers Postcard Collection on Flickr, here. Click postcards for larger images. It’s worth it.